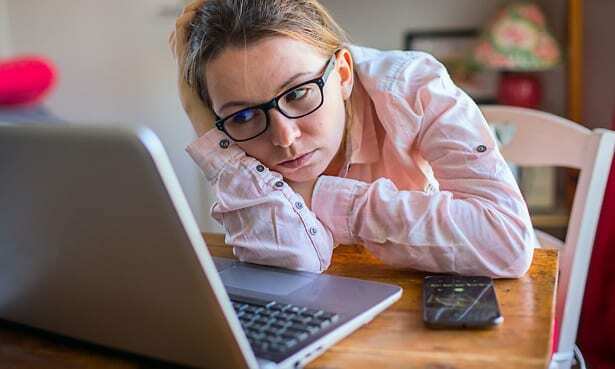 Vodafone is the most complained-about broadband and landline provider, with Virgin being the most complained-about pay-monthly mobile and paid-TV provider, according to the latest telecoms complaints data by regulator Ofcom. The results, which cover July to September 2018, also show that Sky continues to be the least complained-about provider for broadband, landline and paid-TV services, with Tesco Mobile being the least complained-about pay-monthly mobile provider. 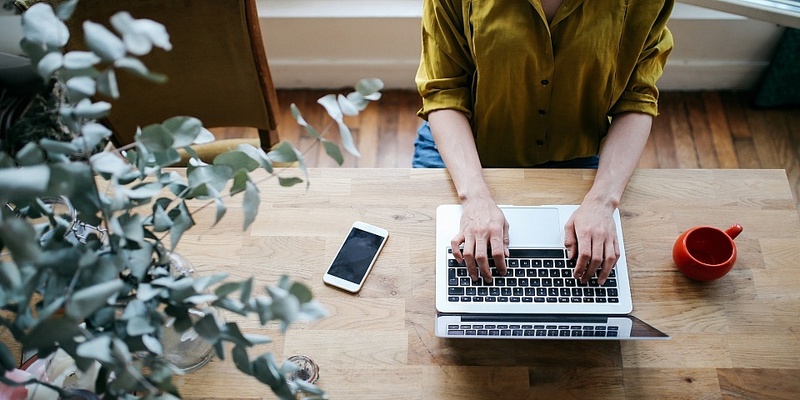 Find out who we rated as the best broadband providers, the best mobile providers and the best broadband and TV providers for 2019. In its first appearance in the Ofcom league tables, Vodafone received the most complaints, obtaining 27 per 100,000 subscribers. 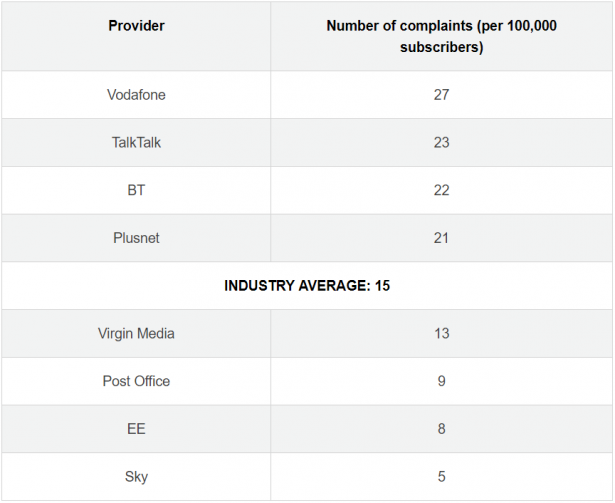 In a surprise turn, this has meant that regular table-topper TalkTalk has dropped to second in the table, with 23 complaints per 100,000 subscribers. The main issue customers had with Vodafone was difficulty around changing provider. This was followed by how it handled complaints and faults, service and provision issues. Post Office is the other newcomer in the survey and managed to obtain below-average complaints, generating nine per 100,000 subscribers. Virgin Mobile continued its run at the top of the complaints table for pay-monthly mobile providers, generating 11 per 100,000 subscribers. Driving the majority of gripes about Virgin Mobile was its complaints-handling service, followed by issues with billing, prices and charges, and changing provider. BT Mobile and Vodafone also received an above-average amount of complaints, with both generating eight per 100,000 subscribers, four more than the industry average of four. Tesco Mobile continues its long-running streak as the least complained-about pay-monthly mobile provider, generating just one complaint per 100,000 subscribers. Which? is supporting Ofcom’s Boost your Broadband campaign, which is aiming to help get you the best broadband to suit your needs. Many loyal customers pay a premium for not switching. 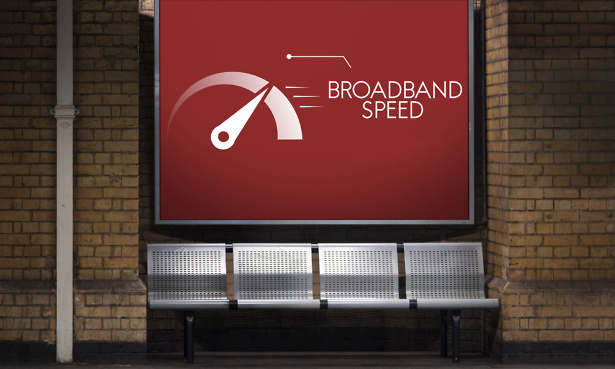 Often, customers can get faster speeds and save a sizeable sum of money as introductory superfast fibre broadband prices can be cheaper than the standard price that people pay for their slower ADSL broadband. Our analysis of broadband deals found loyal consumers could be paying an average of 15% more than a new customer – but in some cases, the price increase could be as great as 89%. We’ve recently launched Which? Switch Broadband as a way for consumers to find the best prices on broadband deals, and also take advantage of exclusive offers including vouchers and reward cards worth up to £140. Find out how much you could save on broadband today with Which? Switch Broadband.